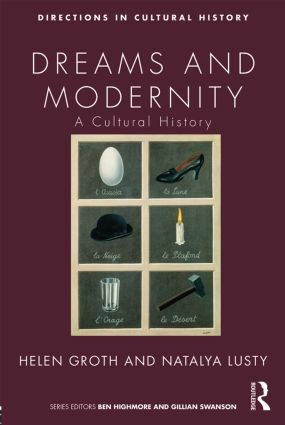 Dreams and Modernity: A Cultural History explores the dream as a distinctively modern object of inquiry and as a fundamental aspect of identity and culture in the nineteenth and early twentieth century. While dreams have been a sustained object of fascination from the ancient world to the present, what sets this period apart is the unprecedented interest in dream writing and interpretation in the psychological sciences, and the migration of these ideas into a wide range of cultural disciplines and practices. Authors Helen Groth and Natalya Lusty examine how the intensification and cross-fertilization of ideas about dreams in this period became a catalyst for new kinds of networks of knowledge across aesthetic, psychological, philosophical and vernacular domains. In uncovering a complex and diverse archive, Dreams and Modernity reveals how the explosion of interest in dreams informed the psychic, imaginative and intimate life of the modern subject. Individual chapters in the book explore popular traditions of dream interpretation in the 19th century; the archival impetus of dream research in this period, including the Society for Psychical Research and the Mass Observation movement; and the reception and extension of Freud’s dream book in Britain in the early decades of the twentieth century. This engaging interdisciplinary book will appeal to both scholars and upper level students of cultural studies, cultural history, Victorian studies, literary studies, gender studies and modernist studies. Chapter One: Introduction. Chapter Two: Popular Traditions of Dream Interpretation in the Early to Mid-Nineteenth Century. Chapter Three: The Dream as Revelation in Mid-Nineteenth-Century Psychology. Chapter Four: Phantasms of the Living: Dreaming in the Wake of the Society for Psychical Research. Chapter Five: The British Reception and Extension of Freud’s Dream Book. Chapter Six: ‘Dream Kitsch’: Surrealism, Walter Benjamin and the Agency of the Dream. Chapter Seven: The Dream Archive: Mass-Observation and Everyday Life. Helen Groth is an Associate Professor in the School of the Arts and Media at the University of New South Wales. She is the author of Victorian Photography and Literary Nostalgia (OUP, 2003) and Moving Images. Nineteenth-Century Reading and Screen Practices (EUP, 2013). She has also written a wide range of articles on photography, Victorian visual technologies, anachronism, noise and has recently co-edited Mindful Aesthetics: Literature and the Science of Mind (Continuum, 2013). Natalya Lusty is Associate Professor in Gender and Cultural Studies at the University of Sydney. She is the author of Surrealism, Feminism, Psychoanalysis (Ashgate, 2007) and a recently co-edited collection of essays, Modernism and Masculinity: Literary and Cultural Transformations (CUP, 2013). Her research examines various movements and cultures of modernity, including feminism, psychoanalysis, the avant-garde, fashion and everyday life.